Paul Polman took the reins at Unilever during one of the most precarious periods in the company’s 150-year history. It was during the aftermath of the financial crisis that the Dutch businessman strode into Unilever HQ, in what has since become a pivotal moment in the company’s evolution. Polman sent shockwaves throughout the world of business, becoming a powerful advocate for social change, sustainability and equal rights, as well as setting new standards for leadership. Under the guidance of Polman, Unilever has become a frontrunner in CSR, steaming ahead in multiple polls and rankings and in various fields. The name Unilever has become synonymous with ethical business practices and what it means to be truly sustainable. Naturally, Polman has been confronted with numerous challenges and naysayers along the way, but what revolutionary hasn’t? Polman maintains that being a good leader means taking risks, being accountable for those risks and putting the greater good above your own needs, and it is this ethos that has shaped him into one of the greatest business leaders of our time. When Polman came onto the scene in January 2009, one of his first actions as CEO was to abolish quarterly reports and earnings guidance. The decision was criticised immediately, causing shares to take an eight-percent dive. Normally, bowing to the demands and wishes of shareholders is the standard motivator behind big business decisions, yet Polman’s strategy involved the eradication of this norm, which he believes is, in fact, a major hindrance. In the same vein, Polman made another surprising move, one that again departed drastically from standard practice, which was to take an active role in shareholder selection – a practice that he continues to this day. Polman instead chooses those with objectives that are aligned with Unilever’s own, as opposed to those blinkered by the all-commanding bottom line. And that was just the start of Polman’s fresh approach. In 2012, the CEO created the Unilever Sustainable Living Plan (USLP), a decade-long scheme to double the company’s revenue while also slashing its carbon footprint by half. The latter point involves ensuring that 100 percent of the materials used in Unilever’s products are sustainable, and that all links along supply chains meet ethical, social and environmental values. “The Unilever Sustainable Living Plan is a landmark in corporate efforts on sustainability. It is ground-breaking in the scope of its ambition – setting out to address each of Unilever’s many product lines across its entire value chain”, said Jim Leape, Professor at the School of Earth, Energy and Environmental Sciences at Stanford University. The ambitious plan also entails helping more than one billion people with their wellbeing, health and nutrition, which involves eliminating trans fats, as well as reducing sugar and salt levels, from Unilever’s food products, which include famous names such as Hellmann’s, Marmite and Knorr. Enhancing livelihoods is another key pillar of the USLP, which aims to advance human rights across all operations and empower five million women worldwide by 2020. The plan, as outlined on the Unilever website, involves creating a positive impact for 5.5 million people, which entails improving access to training and support for smallholder farmers and increasing participation levels for young entrepreneurs. Unsurprisingly, the aims of the USLP have come under scrutiny, with Polman being pressed on how realistically achievable they are. Importantly, however, he agrees that failing to meet all of these goals is actually something that can be expected. Rather, what is most crucial about the USLP is causing a “shift in people’s mindsets”, according to an interview with Forbes in July 2015. While many of the USLP’s objectives may not be achieved within the current timeframe, the progress so far has been astonishing. “We have saved one million tonnes of CO2 and €100m through improved efficiencies in our manufacturing, and we now send zero waste to landfill at over 600 sites in 70 countries, avoiding €200m of costs and creating hundreds of jobs”, said Merlin Koene, spokesperson for Unilever’s Communications and Sustainable Business department. Moreover, the latest USLP progress report states that, by the end of 2014, with Dove, Domestos and Lifebuoy helping to drive efforts, Unilever reached over 390 million people, while 33 percent of its portfolio met with “the highest nutritional standards”. Reducing packaging is a major feature of the group’s sustainability goals, as it can have a major impact on the company’s carbon footprint through the use of fewer resources during production and less fuel for transportation. Among its many product upgrades, Unilever introduced compressed deodorant cans in 2013, using half the propellant gas of conventional counterparts and around 25 percent less aluminium. In order to inspire others to adopt the technology, the patent has been waived with the hope of reducing the carbon footprint of the entire aerosol industry by a quarter. Unilever continues to work closely with researchers and scientists to find new ways to reduce packaging and waste, from lightweight bottles for their dishwashing products to slimming down their containers. For example, the polypropylene (PP) walls of its Noxzema cream jars were changed from a double to a single layer, thereby saving 45 percent in materials and cutting the use of 127 tonnes of PP each year. The business community has long held a crucial role in society, especially given the enormous (and growing) gap between the ‘haves’ and the ‘have-nots’. Corporate leaders must recognise their capacity to have a transformative impact on the world around them. “In the developing world, business accounts for 60 percent of GDP, 80 percent of financial flow and 90 percent of job creation. It therefore has an undeniable responsibility to help address many burning issues – whether it’s food security, access to energy and water through technology, know-how or simple presence with brands”, Koene said. Supporting governmental initiatives is, in fact, a crucial role that industry can play in order to encourage positive change, and is a factor that is especially significant at present. “As government has really stepped back from this…a lot of companies have stepped into this void, like Unilever, where they are almost in government roles, or where local authorities would be”, Young noted. “There is a significant opportunity and responsibility for the business community to drive our collective progress towards sustainable development. The private sector accounts for a great amount of impact (positive and negative) affecting our environment, society and the economy. Our collective future survival and prosperity depends upon us redefining how business creates products and services that improve our lives and allow us to live in harmony and sustainability on a nine billion-person planet”, said Chris Coulter, CEO at Globescan, a specialist consultation service. “With certain issues, there is a bigger loyalty connection [for businesses] with their customers than for government or local authorities”, added Young. Timing is of critical importance. In the western world, consumers are becoming increasingly aware of the impact they have on the planet, starting with the products they choose to buy. With more information out there and greater coverage in the media, more people are recognising that they have a role to play in aiding irreversible damage. Take the issue of palm oil; previously the damage caused to delicate ecosystems by the production of this versatile and cheap commodity was barely visible, but now public debate is shining a light on the plight of the rainforest and endangered species, such as the orangutan. 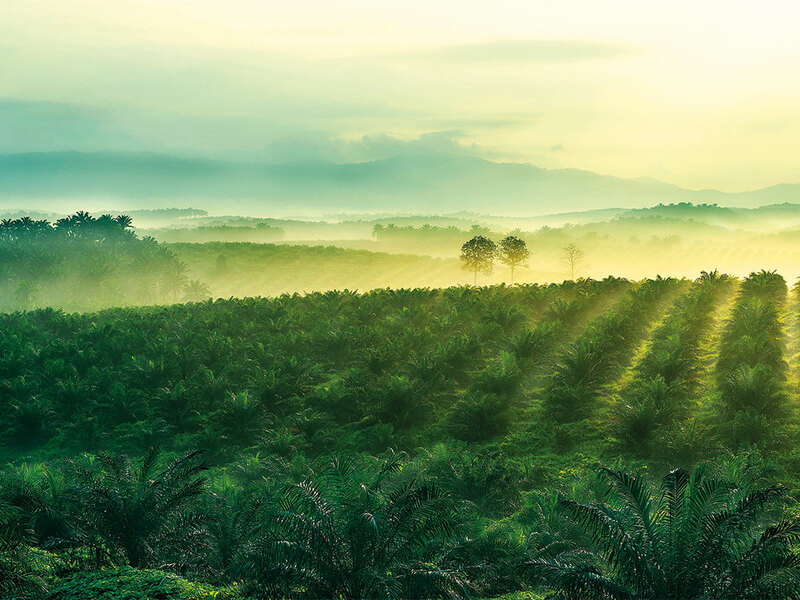 In turn, growing public pressure is forcing more companies to source sustainable palm oil, which necessitates that the land cleared for production does not contain high concentrations of biodiversity, and is not an area vital to local communities. Furthermore, having sustainability at the core of a company’s strategy goes beyond moral responsibility. There is a strong business case for doing so, in order to ensure success in the long term. “The USLP has helped us be a resilient business in an increasingly volatile, uncertain, complex and ambiguous world. We are cutting costs, reducing risk, driving consistent top and bottom-line growth ahead of our markets and engraining a sense of purpose throughout the organisation, which attracts talent”, explained Koene. Polman’s actions at Unilever are those of a new type of leader. CEOs are now charged with lessening the impact they have on the environment and local communities, as well as bolstering profits and creating a legacy – no small feats. “There is a great deal of evolution of corporate sustainability. Leadership is now dependent upon three Ps: performance (measuring and driving incremental and transformative performance in key material areas), purpose (having a clear purpose that helps integrate sustainability into what the company stands for and how it delivers societal and business value) and participation (going beyond communication and more deeply engaging internal and external stakeholders)”, Coulter explained. Despite the overwhelming obstacles at play, it would seem that by taking a holistic view and considering a company’s position within the global sphere, some of the tension between profitability and sustainability can be resolved. Pressure for CEOs to achieve results, in addition to the fear of not making a mark during their tenure, can lead many to make mistakes or take avoidable risks. Yet, by taking a long-term perspective and shunning quarterly demands, companies can make decisions that ensure the continuing viability and profitability of the business. This may involve investing in new services and innovative products or creating a better work-life balance for employees; things that cost in the short-run, but ultimately drive future success. Of course, in order to achieve this, having the right leader in place is essential. “Paul Polman’s personal leadership has been the key to that engagement. He has been a true champion for sustainability in international debates, and in the business community”, said Leape. In light of this shift in what it takes to be a business leader through times of both economic decline and prosperity, Polman argued (during an interview with The Washington Post in May 2015) that people at his level should not be motivated by their wage packet. Instead, he believes that those in charge should already be maximising their time for the good of the business and that extraordinary wages can cause counterproductive behaviour. The progressive CEO also argued setting an example is a far more powerful tool than big payouts. One of the challenges facing Polman in his quest to achieve the USLP goals is the actual term ‘sustainability’. Many argue that the vagueness of the term, as well as its various definitions, can stretch so much that the illusion of sustainability is actually greater than the reality. Critics point to the company’s use of sustainable soybeans, a certification system that did not exist until Unilever’s involvement, and is still unregulated at this initial stage. However, the fact that sustainable soy beans in the US were not previously an option shows a step in the right direction, and inspires more farmers to use practices such as crop covering, to help their own levels of productivity and reduce their annual costs. It seems that what such critics forget is that the mission itself is what is perhaps most important at this current stage in societal development. We are so very far away from achieving actual sustainability – namely to cease environmental damage and to not cause limitations for future generations, while also ensuring that the human rights of all people are met – that making a stand to try to resolve any of these thousands of individual issues is a start; a start that many still choose not to make. “I prefer to think of sustainability as a mindset to take fully informed decisions that do more good, not just less harm. That means having a corporate culture that looks at things in the round, is prepared to challenge conventional thinking and understands value and values”, said David Stubbs, an independent sustainability expert. Take climate change; the World Bank estimates this phenomenon could force more than 100 million people into poverty by 2030. Therefore, enforcing actions, such as creating circular economies and reducing packaging, are of urgent importance; we are all charged with the mission of striving towards these goals by all means possible. Naturally, tackling these issues may indeed impact the bottom line, which of course is a primary concern in the world of business, but by bringing sustainability to the core of a company’s mandate, it can ensure its survival in the long term. Only when taking a hard look at the effects that an industry or an individual firm has on the world can these things be addressed. Zero-waste policies, reducing energy and water consumption, improving the health of workers – all these things promote the wellbeing of the environment and society, but they also improve efficiency, reduce costs and ensure viability in business. While Polman has extremely moral intentions, he is also a businessman, and as Young noted: “Unilever’s attempt to cut resources, while still growing, is the holy grail of industry.” Polman certainly is an ambitious leader, even a radical some may say, yet the world needs radicals like him – radicals who never stop striving for the holy grail.